Pregnant women used to be told to eat for two during pregnancy. But eating for the baby is much more involved than simply eating more food. Both the pregnant woman and the baby need a wholesome diet of whole grains, fiber, complex carbohydrates and protein. Prenatal vitamins are there to add vitamins, minerals and folic acid to the woman's body, but she can make some healthy, tasty diet changes to give her baby (and her own body) even more support. Healthy eating and proper pregnancy nutrition start with eating from the food pyramid. 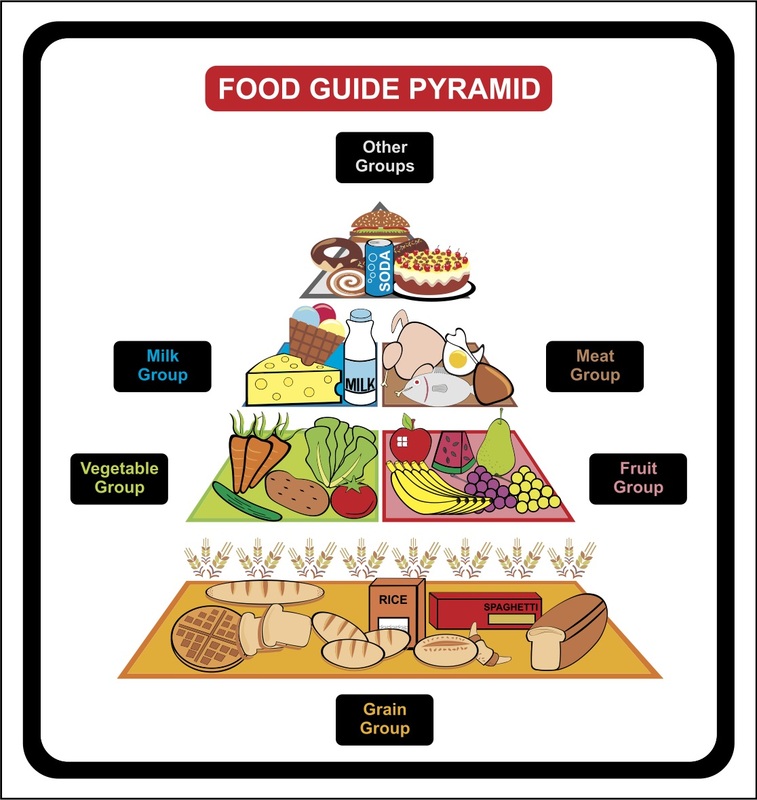 At the top of the pyramid are fats and oils. These should only be consumed sparingly, but including healthy oils such as omega 3, 6 and 9 into one's diet is important. The next level of the food pyramid includes dairy and meats. Dairy includes milk, yogurt and cheese and provides a healthy dose of Vitamin D and Calcium to the woman and her baby. Meats are not just limited to beef, pork and chicken. Pregnant women should try to eat dried beans and low-mercury fish regularly to round out her nutritional intake. Next in line is the hardest level of the food pyramid for most people. Fruits and vegetables carry a long line of healthy vitamins and nutrients. The most important being folic acid, can be found in green leafy vegetables like spinach. It is important to eat fruits and vegetables at every meal and for snacks throughout the day. The bread, cereal, rice and pasta group is probably the easiest part of proper pregnancy nutrition. While the woman may not feel she is missing out on any of her daily servings from this group, the specific choices are just as important to thebaby as taking that prenatal vitamin. Whole grain and whole wheat bread and pasta offer the body more bang for the caloric punch that white bread and paste. While rice also offers very little support for the body, but wild rice and brown rice are rich in vitamins and nutrients. Eating cereal that is enriched with vitamins offers a ton of growth support. The final line of the food pyramid is water. Proper pregnancy nutrition means taking in at least eight glasses of water a day. Many experts believe pregnant women need to shoot for at least ½ their body weight in water ounces in order to stave off dehydration and constipation throughout pregnancy. If a woman weighs 150 pounds, that is 75 ounces of water. A pregnant woman should never consume below 64 ounces, or eight glasses of water per day. Snacking is important during pregnancy, but having a baby does not give one free reign to raid the candy aisle. Keeping weight gain slow and gradual is healthiest for both the woman and her baby.